Formnext has officially begun! 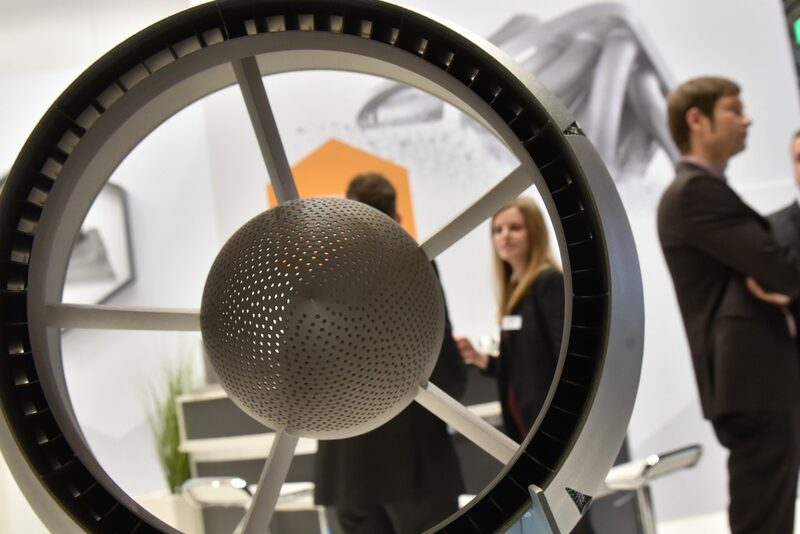 Over the next few days, the biggest names in additive manufacturing will be showcasing their latest products and developments at Europe’s largest trade fair and conference – including the RP Platform team. As formnext gets underway, many leading 3D printer manufacturers have announced plans to unveil their new 3D printing systems at this year’s trade fair. At RP Platform, we’ve compiled a list of some of the new 3D printing systems we’re looking forward to seeing at formnext this week. ACEO®, a subsidiary of German chemical giant Wacker Chemie AG, made waves in 2016 when it released the first industrial 3D printer for silicones. The release marked a key milestone in the application of silicone technology – and the company now looks set to take this innovation one step further as it reveals plans to unveil its new multi-material silicone printing system at formnext this week. What’s new: ACEO®’s announcement promises to be another first for the German company. For the first time it will be possible to print multiple silicone materials simultaneously, allowing users to create more complex inner structures and parts with geometries that were previously impossible to produce. Applications of this technology will reportedly include small product series, bio-models and functional prototypes. So for those interested in the possibilities of silicone 3D printing, ACEO’s new printer is certainly one to watch. Polish manufacturer, Sondasys, will make its debut launch at formnext 2017 with its new Sondasys Selective Laser Sintering (SLS) 3D machine. Described as Poland’s first industrial-scale SLS printer, Sondasys marks the company’s first step into the industrial SLS market. What’s new: With its highly advanced optical system and digitally-controlled processes, the SondaSys machine will be able to produce precise and high-quality parts. Moreover, it is equipped with two working chambers, which will enable users to optimise production costs and reduce material waste. The machine will also feature a user-friendly interface, allowing users to preview the printing process in real time. Earlier this year, INTAMSYS unveiled its FUNMAT HT Desktop 3D printer at RAPID + TCT, which marked a new addition to its FUNMAT 3D printer series. This week at formnext, the Shanghai-based manufacturer will be showcasing its latest machine in the series: the FUNMAT HT PRO – which is its largest 3D printer to date. What’s new: The new FUNMAT HT PRO offers an open materials system, allowing users to print with a wider variety of materials, including PEEK, PC and ULTEM. In addition, the machine’s metal nozzle can withstand temperatures of up to 450ºC, and avoids clogging during the extrusion process. Warping and cracking issues are also alleviated thanks to the heated build chamber that is kept at a constant temperature, and the machine’s large build area allows users to print much larger parts. Last month, UK-based engineering company Renishaw announced plans to reveal its new RenAM500Q four-laser system at formnext. Renishaw first launched its RenAM800 system at formnext 2015 and now, two years later, it hopes that its new four-laser system will expand the appeal of metal additive manufacturing to new industries. What’s new: The new machine reportedly improves productivity as the production process is sped up fourfold – making it much faster than single-laser systems. And while the production time is reduced, Renishaw states that the machine will nevertheless maintain the quality of standard single laser systems. Coupled with a reduction in cost per part, Renishaw’s system looks set to further the evolution of metal additive manufacturing systems. The US-based 3D printer manufacturer has certainly had an eventful year so far, having recently raised $30 million in a funding round from investors such as Microsoft Ventures and Porsche SE. The company also announced the release of its first desktop metal printer – Metal X – at the start of the year. The system uses the company’s new metal 3D printing technology, Atomic Diffusion Additive Manufacturing (ADAM). Markforged has not limited itself to metal 3D printing applications, however, having created the first ever carbon fibre 3D printer in 2013. With new ways to print carbon fibre and metal, this startup looks set to continue making strides in the world of additive manufacturing. What’s new: Markforged recently introduced two new models in its industrial 3D printer series: X3 and X5. The two systems joined X7, formerly known as Mark X. The company hopes that the introduction of these printers to market will enable more affordable manufacturing systems for customers. Each printer possesses varying capabilities and corresponding price points: for example, while the X3 supports Onyx, a temperature-resistant carbon fibre filled nylon, X5 offers the ability to reinforce this material with a strand of continuous fibreglass – providing added strength. With the momentum that Markforged has created thus far, we are certainly looking forward to seeing the new technologies it will be showcasing at formnext. Make sure to check out the RP Platform booth at formnext this week! Find us at Hall 3, Booth G27.